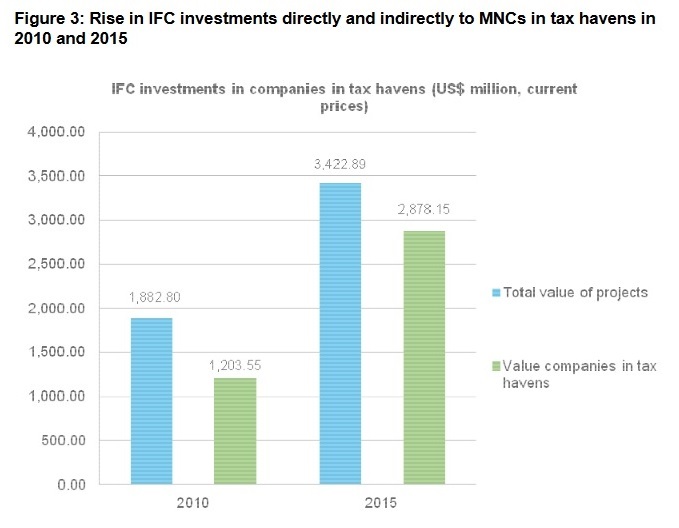 Oxfam has launched a new briefing on the IFC and tax havens. This briefing will also be presented and discussed at our event at the World Bank CSO forum on Friday 15th of April at 11 am-12.30 in Washington DC. Oxfam calls on the World Bank Group to put in place safeguards to ensure that its clients can prove they are paying their fair share of tax. Inequality is rising around the world. Fighting inequality must be an integrated priority for everyone in development, to promote and achieve sustainable development. As the World Bank and IMF prepare for their Spring Meeting in Washington 13–15 April, and in the wake of the Panama Papers scandal which reveals how powerful individuals and companies are using tax havens to hide wealth and dodge taxes, Oxfam is calling on the World Bank Group to put safeguards in place to ensure that its clients can prove they are paying their fair share of tax. What do you think Tax advisers do all day? Like transfer-pricing, they will simply break companies down into component parts below $1bn. They will always obey the law, just use their very expensive brains to out-wit it. Are they really qualified to give talks on this in this case? Richard Murphy has written about this here.